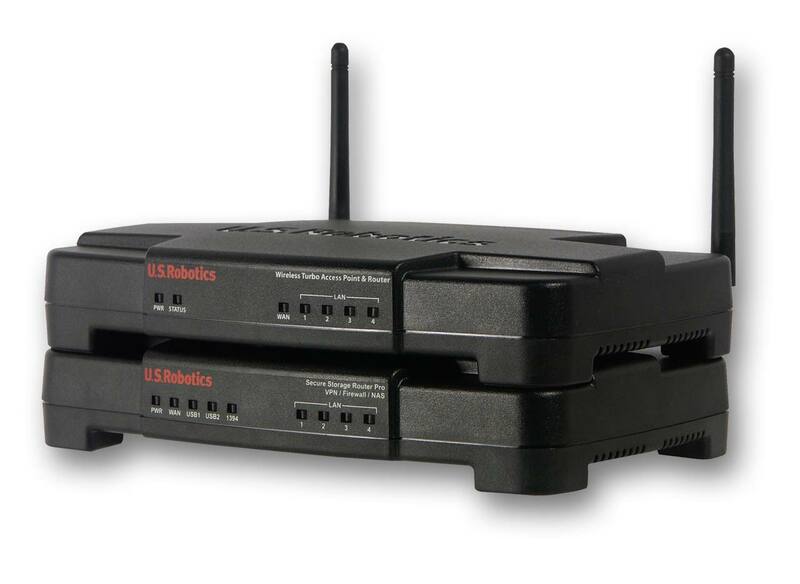 Some time ago our lab got hold of a new model from U.S.Robotics – Secure Storage Router Pro. This device is a multifunctional router with the VPN server and client support as well as with integrated functions of a network database. 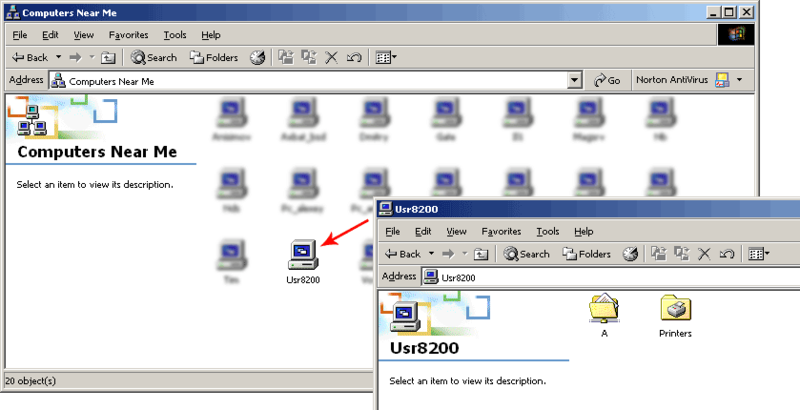 USR8200 also has an embedded print-server (for USB printers). So many functions in this device protracted the tests, but nothing lasts forever and so I'm pleased to share the results of these tests. The most impatient readers may skip the body (the most informative part) of this article and jump right to the conclusions section. For the rest of you we shall tell everything like it is. 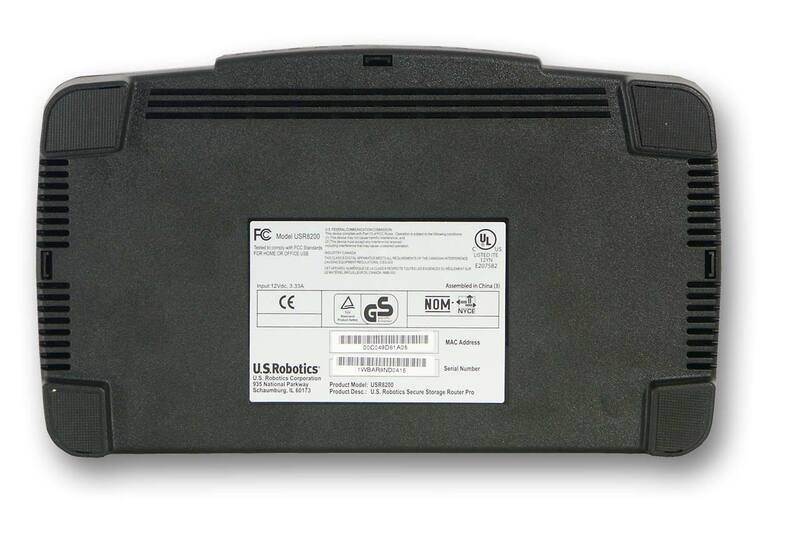 The device is assembled in a stylish plastic black case (traditional color for U.S.Robotics). The front panel hosts 4 green LEDs indicating LAN ports, one LED for WAN port, IEEE1394(Firewire) indicator, and two USB indicators, plus a two-color Power LED. All interfaces are on the rear panel of USR8200. Except for the traditional 4 x LAN, 1 x WAN, the Reset button and a power connector, you can see 2 x USB 2.0 and 1 x FireWire. 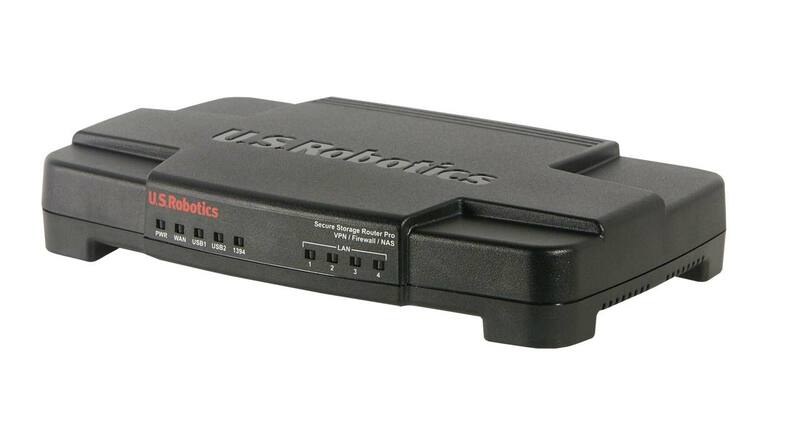 They serve to connect external storage systems (NAS, network attached storage) with corresponding interfaces, e.g. 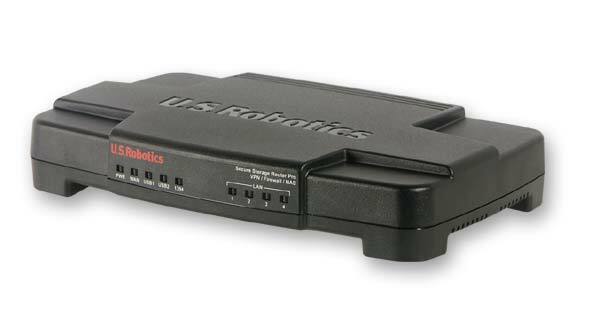 U.S.Robotics 250GB USB 2.0 + FireWire Storage Drive. You can also connect USB-Flash disks to the USB port. They obviously cannot be compared with NAS system capacities, nevertheless there already exist Flash disks of several gigabytes. 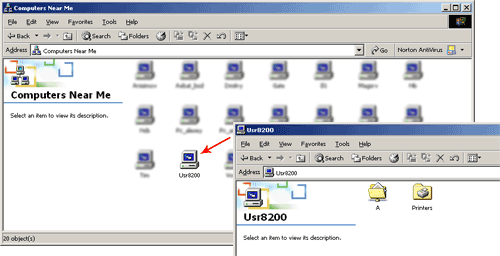 Having been connected to USR8200, any storage device will be accessible from LAN via SMB protocol (that is via network environment, as in Windows File Sharing) and via FTP server, which is also supported by USR8200. Besides a storage device, you can also connect a printer to the USB port (if your printer supports USB connection, of course). In this case the print-server imbedded into USR8200 will provide access to this printer for the entire LAN. The bottom of the device has four lugs with rubber feet to put the device horizontally, but it lacks any holes to fix it on vertical surfaces. By the way, these feet have another function – they allow to stack the devices in a pile (the resulting construction is quite stable). In the same manner you can place 802.11g Wireless Turbo Multi-Function Access Point (this access point has a smaller case) on USR8200. Thus you may get quite a high tower :). The bundle includes a power unit, a quick installation guide, a patch cord, and a CD with detailed documentation (in English) and additional software - Norton Internet Security 2003 (NIS), Norton Personal Firewall 2003 (NPF) and USR iBand. The latter docks as another toolbar and displays the real time load of the network interface. VPN server embedded into USR8200 supports IPSec (tunnel and transport modes, with DES/3DES encryption) and PPTP protocols, the latter can be in the server as well as in the client mode. 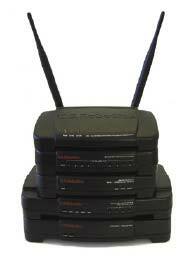 Besides, it can pass corresponding sessions through the router. Such features allow USR8200 to organize distributed networks and connect their segments with encrypted tunnels (via Internet). For example, you can connect several remote offices into a single local network or you can connect remote users (working at home or on business trip) to a company's local network. It goes without saying that the device has a traffic filtering control interface (filtering by IP addresses/protocols and WEB filtering). 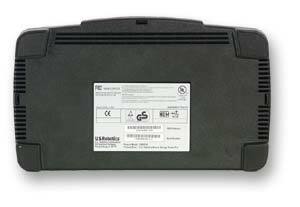 As is the case with USR5450, you cannot disassemble the router without damaging its surface appearance – one of the screws is hidden under a sticker on the bottom of the case. And nodoby allowed us to damage the device appearance. 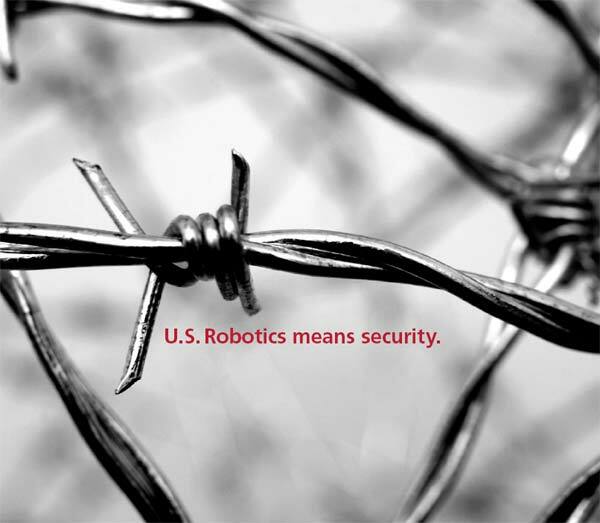 But, according to the information from U.S.Robotics web site, the heart of the system is the Intel IXP422 network processor based on XScale technology. 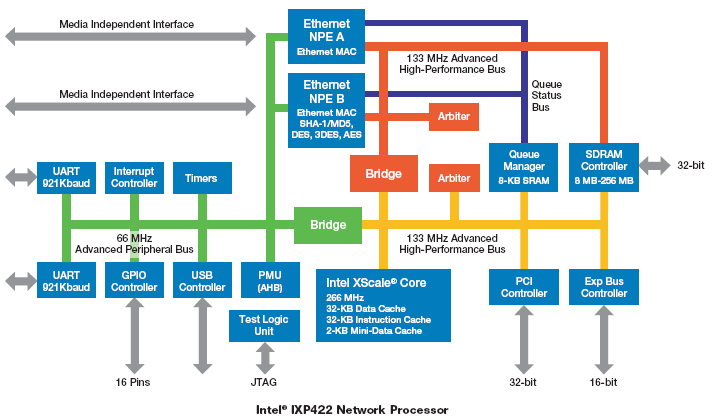 Its XScale core operates at 266 MHz, this processor contains the following embedded controllers: PCI 2.2 bus controller, SDRAM controller, USB 1.1 controller, and two independent 10/100 Base-T Ethernet MAC controllers. Note that USR8200 has two USB 2.0 ports, they are obviously based (like IEEE1394 port) on some external controllers. Besides the above-mentioned, the network processor incorporates IPsec-enabled Network Processor Engine (NPE) supporting DES/3DES, AES, SHA-1/MD5. 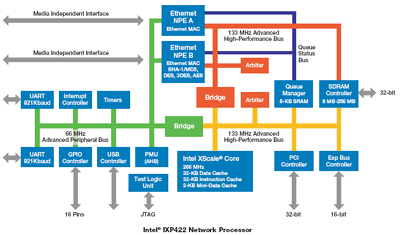 According to the datasheet on this processor, the architecture of Intel IXP422 network processor allows encryption/decryption at up to 70 Mbit/sec speed. We are particularly interested how exact this figure is in terms of AES encryption, which is the "heaviest" mode. USR8200 has 16Mb flash and 64Mb SDRAM, it operates under Jungo's OpenRG, which in its turn is based on Linux kernel (presumably its 2.4.x branch). Specs for both devices are similar, that's why we publish them in one summary table (differences between the devices are noted in the table). action types allow yes, including "allow all packets for this connection (using SPI)"